Since 1998, Difco Group has been growing steadily into a renowned and much-loved company with a wide variety of appetizing products. Poppins and SNIPS are subsidiaries of DIFCO, a major FMCG group and manufacturer of Breakfast Cereals and Snacks products in the Middle East. Using only the finest raw materials and the latest technologies, DIFCO caters to the needs of families, adults and children across the region with a wide range of high-quality, Breakfast Cereals and ready-to-eat Snacks. 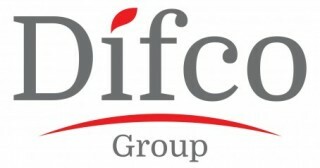 In 2006, DIFCO opened the first and only Breakfast Cereal factory of 15,000 m2 in the Middle East. The factories have been designed to guarantee the health and safety of consumers and adhere to the highest local and international standards. With a mission to always provide its customers with healthy choices for a healthy lifestyle, DIFCO operates in the Middle East, Africa and Europe through strategic partnerships with distributors and continuously works on extending its reach.